I was a bit fried by the end of last week and used my blog as a venting place. Which is, as it should be, no? If you can’t freak out on your own damn blog, where CAN you release pent up frustrations? I was really touched how many people contacted me to say hi or lend a supportive word. Thanks, all. Both for listening to me whine and for being a part of my life. If you, like me, sometimes struggle with change…well, then this is NOT our year. I mean. Let’s start with the election. Both an African American Man and a woman on the main stage. Whoa Nellie! The economy. Jeebus, I need a seatbelt to stay on this crazy ride! There’s even a new profession I only just heard of in an article about this economy. A “neuroeconomist”, who studies the biology of economic behavior. Some guy from Emory University is saying we’re all acting like a bunch of scared sheep. Several friends have been laid off from jobs and have had a lot of trouble finding a new gig. Fannie Mae now (unwillingly) owns some 54,000 homes. Some meaningful people both personally and in society have passed away. A couple people very dear to me are seriously ill.
My 43-year old friend is preggers (naturally) for the first time. My big brother is moving to Malaysia…This just after he and his family came through freaking Hurricane Ike. Gas prices are through the roof. Prices unheard of thus far in our country. Oh yeah, and for me personally I got married and am potentially changing jobs after almost a decade at one company. 2008 is not for sissies! And we’re only nine months into this thing! 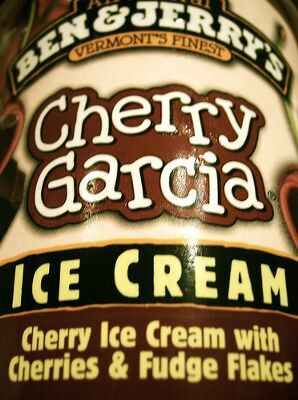 If you’ll excuse me, I’m going to retire to the underside of my bed with a tubful of Cherry Garcia, a canister of Valium and my cat. Call me when things have settled, hey? *Borrowed liberally from John Lennon. Thanks John! You were a gentleman and a humanitarian. You would think that after hitting an all time low point yesterday here at my own little blog (*grin*), that now would be a GREAT time to follow on with something witty, wise or profound to redeem my reputation. Yeah, it *would* be a great idea, but I guess I don’t have it in me today. See, someone out in the world was really, really mean to me today. So much so that later, away from that person, in the dressing room of a local discount department store I broke down and cried. Add to this that I’ve had some good successes lately, but don’t feel able to share them and celebrate them with others because it isn’t appropriate. On Monday I have a second round job interview with a company I *really* want to work for. But I can’t really jump up and down and talk about this because due to this crappy economy, several of my friends and family are without work (for various reason) and having a devil of a time finding a new spot. Me waxing rhapsodic about the potential to work for a well-known company AND get a promotion out of the deal goes over about as well as a cockroach in the ceviche. I’ve also just had a small success related to my writing. It’s the first time I’ve had any sort of recognition at all for my creative work (outside of the kind words from friends and family). My work was judged in competition with other people and ranked well. I am beside myself, I’m so pleased. But I can’t jump for joy because there are people in my life who are having a really, really hard time of it lately (health, finances, marriage troubles, etc), and to express my glee seems rude. And so right now, I’m mostly mad. And when the being mad is done, I might have some crying left to do. Thank goodness it’s the weekend. I may be going to jail soon. That is…if my new husband decides to press charges. Maybe he won’t read this article. Sorry for the, uh, spousal abuse.